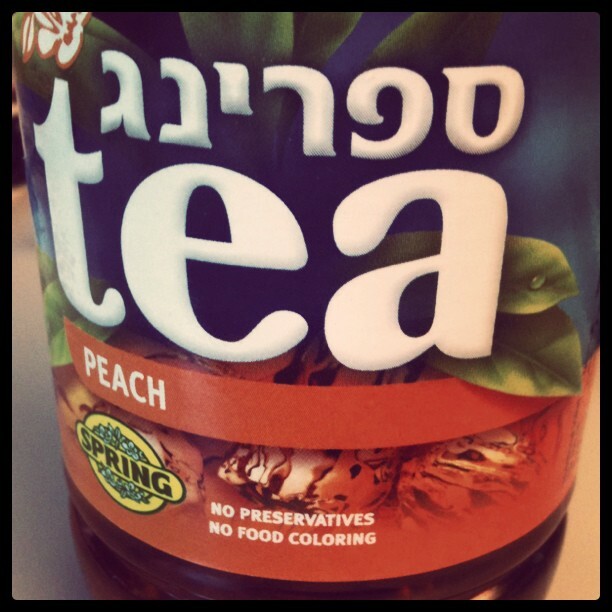 Found an intriguing Israeli bottled Peach tea today from a company called Spring (I think Spring is what is written in Hebrew on the bottle as well). Decided to give it a try. 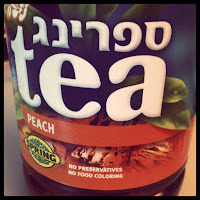 Still tastes like 'bottled peach flavored tea drink', but better than that stuff they call 'the best stuff on earth'. Not something I'd drink all the time, but trying it was a fun little tea diversion for the day!